On March 27th 2019, the Saudi Arabian Oil Company (Saudi Aramco), signed a share purchase agreement to acquire a 70% majority stake in Saudi Basic Industries Corporation (SABIC) from the Public Investment Fund of Saudi Arabia (PIF) in a private transaction worth SAR 259.125bn, equivalent to $69.1 bn. The deal will bring together the world’s largest oil producer (Saudi Aramco) and the world’s fourth biggest petrochemicals firm into a giant with a strong vertically integrated portfolio of oil-to-chemicals. The Saudi Arabian Oil Company (Saudi Aramco) is Saudi Arabia’s national oil petroleum and natural gas company, founded in 1933 and based in Dhahran, Saudi Arabia. The company is fully owned by the Saudi Government and employs over 70,000 people with operations spanning the globe and including exploration, production, refining, chemicals, distribution and marketing. Being the world’s largest oil producer in terms of revenues, it provides more than 10% of global oil production, it holds oil reserves exceeding 260bn barrels and about 300tn cubic feet of natural gas reserves. In 2018, it posted revenues of $355.9bn and a Net Income of $111,1bn. The company has been diversifying away from its core extraction businesses into petrochemicals, first with the acquisition of Germany’s Arlanxeo, a specialist chemical company, in 2018 and then with the acquisition of Saudi Basic Industries Corporation (SABIC) in 2019. The oil giant is also planning a bond issuance estimated at a minimum of $10 bn to help fund its acquisition of SABIC and has plans to go public in an IPO by 2021 once an acceptable valuation of $2tn is achieved. Saudi Basic Industries Corporation (SABIC) is a diversified manufacturing company active in petrochemicals, chemicals, industrial polymers, fertilizers and metals founded in 1976 and headquartered in Riyadh, Saudi Arabia. SABIC is a publicly traded company listed on the Tadawul (Saudi Stock Exchange) and begun its global expansion in 2002 with the acquisition of DSM’s petrochemical business in Europe followed by a subsequent stream of foreign acquisition aimed at increasing foreign production capacity, reach and product offerings. In 2019, 70% of SABIC’s shares are going to be acquired by Saudi Aramco from the Public Investment Fund of Saudi Arabia, while the remaining 30% of shares are owned by Saudi Arabians and other private shareholders from the Gulf Cooperation Council. SABIC is the world’s fourth largest chemical producer with a strong, leading portfolio of polymer and plastic offerings. The company employs over 35,000 people and in 2017 posted revenues of $39.8bn with a Net Income of $6.78bn. 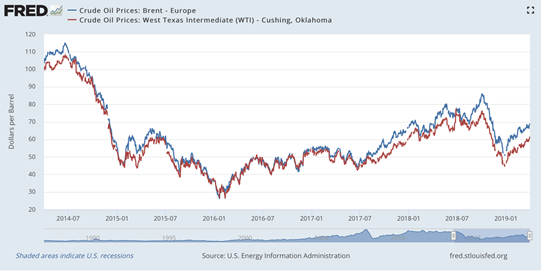 With BRENT hitting a $69.96 per-barrel price and WTI growing to $62.99 on Wednesday April 3rd, 2019, the oil market seems to be getting back in shape, after the late-2018 bear market. These results perfectly match OPEC’s plans and expectations. As a matter of fact, on December 7th, 2018, in the aftermath of the late-November oil price drop, the Organization agreed upon a severe 1.2m cut in barrels-per-day supply, to be split among members (required to cut production by 800,000 barrels per day) and allies (expected to cut production by 400,000 barrels per day). At that time, OPEC’s goal was to bring prices back to $70/barrel, by fall 2019. The figure is in line with the cap somehow imposed by President Trump, who argued that prices above the $70 threshold would have over tightened the market. As of the 3rd of April, 2019, the target price was achieved. Other factors have played a key role in the accomplishment of OPEC’s goals in the recent times. Indeed, the observed price rally has also been fed by the effects of the sanctions imposed by the US government to Iran and Venezuela. President Trump has severely addressed the latter, preventing US individuals and corporations from transacting with PDVSA, the Venezuelan state-owned oil company. The time series plot reported hereafter displays the last five-years oil price trend for both the two international benchmarks. Despite the unpredictability of oil prices, according to the Short-Term Energy Outlook by the US Energy Information Administration, BRENT crude oil prices will be fluctuating around $63/barrel this year, slightly falling to a $62 average in 2020. As a matter of fact, demand for crude has recently been well grounded on aviation and petrochemical’s needs, compensating for the threats connected with electric cars and the spread of alternative fuels. Moreover, according to EIA and disregarding inflationary effetcs, BRENT prices will start rising again in the following years, eventually hitting $81.73 by 2025. Looking further ahead, EIA expects the BRENT prices to reach a $92.98 peak by 2030 and $105.16 by 2040, when the cheap resources of oil will have been exhausted, driving extraction costs up. Finally, by 2050, prices are forecasted to grow even further, eventually overcoming $107/barrel. On the 27th of March SABIC announced that 2,1bn of its shares were to be acquired at an offer price of $32.91 per share, thereby valuing the transaction at $69.12bn, with an implied equity value of $98.7bn. As the press release states, the deal closure is subject to certain conditions and to regulatory approvals. The offer price represents a premium of 1.15% over closing share price of $32.54 per share on 27 February 2019, one month prior to announcement and a discount of -0.01% compared to the share price one day before the announcement. Regarding the financing, Aramco is expected to issue its first international bond over the coming weeks that will partly back the SABIC acquisition. As Saudi Arabia Public Investment Fund’s managing director Yasir Al-Kumayyan reported, the $69.1bn acquisition at issue represents a clear win-win-win strategic move for all the three involved parties, i.e. Saudi Aramco, SABIC and the Saudi Arabian sovereign wealth fund (PIF). Four main objectives grounding the transaction can be identified. First, Saudi Aramco has planned to bring its refining capacity from 4.9m to 8.10m barrels per day by 2030. Having this in mind, the state-owned company, which so far has recorded 17m tons petrochemicals production per year, has targeted SABIC, so to count on the acquired entity’s 62m yearly tons. Figures clearly suggest Saudi Aramco will run all of its future expansionary plans directly through SABIC. Second, the deal comes as a rescue plan to the shelved Saudi Aramco’s IPO. 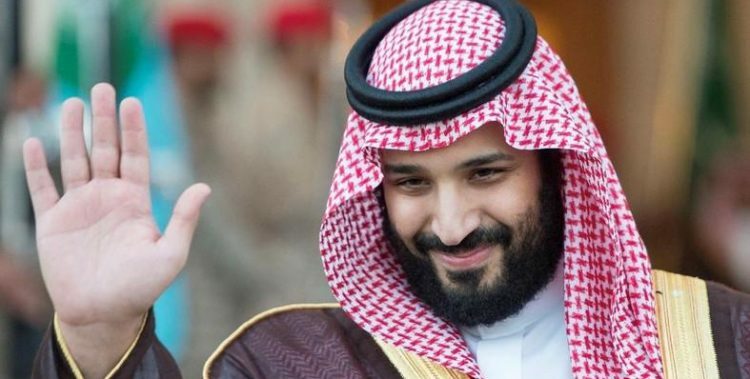 As a matter of fact, the corporation’s flotation was expected to generate a $100bn cash inflow for the PIF, so to support Prince Mohammed’s 2030 strategy. The latter pursues a diversification of the kingdom’s economy, aimed at making it progressively independent from crude extraction and export. As hinted above, the long-awaited Saudi Aramco’s IPO has recently been postponed to 2021, due to the inability to achieve a $2tn valuation for the company, alongside with legal and regulatory issues. The announced acquisition represents a way to guarantee a $69.1bn inflow into the PIF, to temporarily meet the kingdom’s budget needs. Indeed, some insiders argue that neither Saudi Aramco nor SABIC’s executives were keen on the deal, but they finally agreed to execute it, due to the Kingdom’s pressures. Somehow connected with both the two reasons depicted above, the third reason driving the transaction is to be found in the strive for Saudi Aramco to give its own valuation a boost by 2021, when the executives and the Prince expect the company to go public. As a matter of fact, SABIC represents a good source of growth for Saudi Aramco. The combination of the two entities, as he has recently pointed out, will make Saudi Aramco a fully integrated energy company with SABIC acting as “the future chemical arm of Aramco”. The fourth and last core driver of the deal is linked to the bidder strategic plans. The deal comes as a way for the company to “test the waters”, well ahead its 2021 listing, given that the acquisition is supposed to be financed through the issuance of debt securities, in the form 30-year bonds. Saudi Aramco will be closely looking at fund managers and worldwide-spread investors’ appetite for these securities, to make inference about their willingness to eventually support an IPO in the years to come. In the process of issuing the $69.1bn capital from the debt market, Saudi Aramco has finally been forced to disclose its financial statements, scoring an impressive $111.1bn net income for 2018. At a first glance, this figure might straightforwardly be held to feed non-attentive investors’ appetite for the corporation’s hypothetical future traded shares. Anyhow, in evaluating the company, potential equity buyers must take into account the tax burden, which has been systematically eroding the company’s profits. Indeed, Saudi Aramco’s effective post-tax gain per barrel was set at around $26/barrel, against a $38 average for Royal Dutch Shell (The Netherlands), and $31 for Total (France), despite the fact that the Saudi state-owned company counts on the lowest extraction costs in the world. Therefore, potential future equity investors will need to carefully scrutinize and include in their valuation the effect that tax burden will have on their dividends. Moreover, Saudi Aramco’s securities, despite the company’s soundness and market leadership, cannot overcome an A1 and A+ score, respectively assigned by Moody’s and Fitch Ratings’. As argued by the two mentioned credit rating agencies, the State has been relying somehow too heavily on the company’s profits to meet its budget needs. Even if some argued that the SABIC-Aramco deal is ill-conceived and will not improve the Kingdom’s economy, SABIC share increase of 0.65% on the day of the announcement. Regarding Aramco, the IPO, initially planned for 2018, has been postponed to 2021 due to the acquisition. In fact, according to executives, the company needed at least a year from the deal’s completion before the IPO, so that Aramco financial statements can property reflect the SABIC acquisition. JPMorgan and Morgan Stanley acted as advisor Aramco on the SABIC acquisition, while Bank of America Merrill Lynch, Goldman Sachs and Michael Klein advised PIF on the sale of its stake. Finally, Citigroup was picked as the financial advisor for SABIC.